I’ve always wanted to teach. One of my favorite memories from my youth is that of teaching art classes to kids in 5th grade as part of my senior studio class in high school. I like the planning that goes into a good lesson, and the unplanned opportunities to connect with students as they learn something new. I know it’s a mild case of over-simplifying the demands on a full-time teacher given that I’ve only spent a day or two here and there teaching anything to anyone. But still, those rare occasions gave me more joy than two decades in IT. 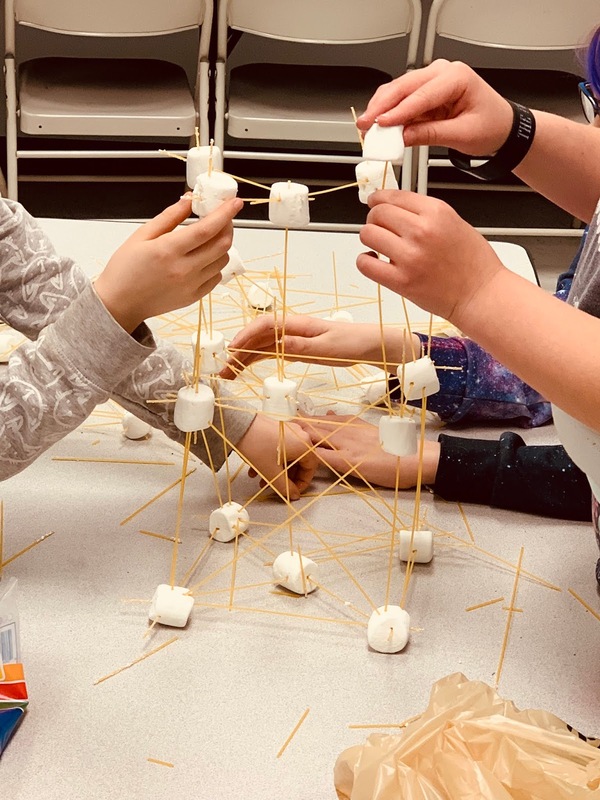 Recently I took a turn teaching engineering to a group of students at my local homeschool co-op. It was the second of two classes I taught this semester: the first lesson was based on circuit design using the wonderful and inspiring materials from Chibitronics. The creative folks behind Chibitronics have merged technology with art, and have been around since the maker wave began earlier this decade. It’s cool stuff, and if you’ve got kids, you should look into their kits and create something amazing. The second class was something different. I spent some time reading a lesson plan from Stanford d.school on the concept of a “bias to action.” You can read the whole lesson plan here. 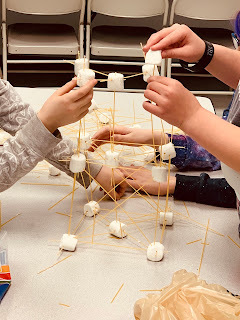 A summary of the lesson: the class forms groups of a few students each and use dry spaghetti and marshmallows to construct a tower. (In the lesson plan, they also include a length of tape and string, but I skipped that part to simplify the work.) Before anyone gets started, you talk briefly about a few important concepts: prototyping, failing fast, iteration, and the bias to action. Prototyping is something that we don’t consider often in the infrastructure ops field, but the movement towards Infrastructure as Code promises to change that. We should build prototypes of scripts to deploy systems, of templates used to build applications, and of patterns to support web scale products. And we should hope that the prototypes fail, which leads us to the next concept: failing fast. Failing fast means you learn as soon as possible whether your proposed solution is going to work out or not. If your tower prototype collapses before your second floor is built, then you know that your foundation needs more work. You’d much rather the tower fall with two floors than ten. You prototype, fail fast to learn what didn’t work, and iterate. To iterate means to try again, but with the knowledge of your previous attempts (failures). Each iteration should be an improvement on your previous design. And the process repeats until you’ve developed a good solution (or in this case, a towering construction of carbohydrates). The improvement can be subtle; you're not going for a 1.0 to 2.0 release. You're looking for a 1.01a. A bias to action is the tendency of an individual or group to try doing something instead of over-thinking or over-planning. It’s not a license to be reckless; it’s an approach designed to acquire empirical data quickly for the purposes of iterating on your design. An extreme counter-example would be to spend a year planning on building a 100-story tower, and then watching it fall when you build that second floor. You’ve just invested a year’s worth of time on a design that, had you prototyped it early on, would have failed fast and provided feedback for your iteration. In other words, it's a "let's try it and see what happens" approach. So now I’ve got a phrase to describe how we should all approach our work. Through prototyping, failing fast, iterating, and a bias to action, we can modernize any infrastructure operation.